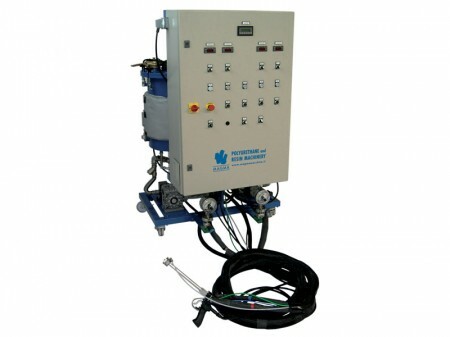 The machine ME faces all different needs as far as concerns the dosing, mixing and dispensing of polyurethane and bicomponent resins in general. 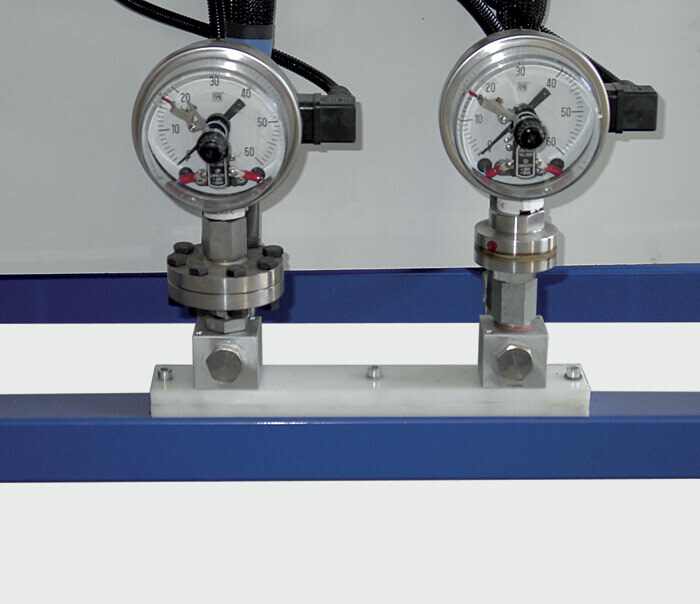 Versatility and reliability are the main characteristics allowing to use different materials such as elastomers, RIM, flexible and rigid expanded. 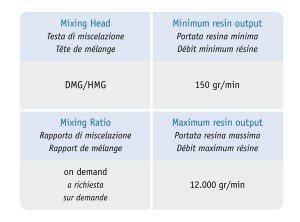 The ME is indispensable where very low outputs are needed starting from 150 gr./min. 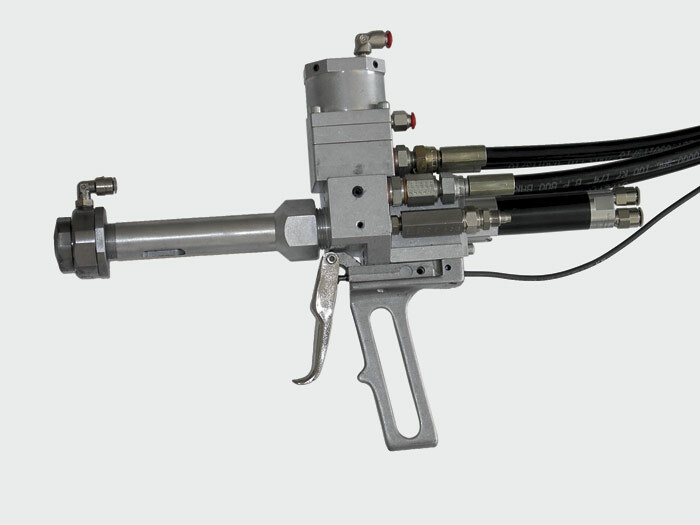 as for the spraying work for coating and the ennobling of manufactured products with reduced dimensions (molds and modelings) or complexe (manifolds and hoses in general). 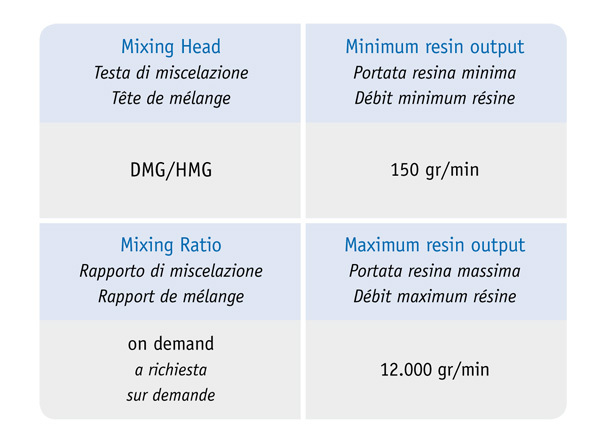 The mixing head  can be defined universal; it has the possibility to mount a static mixer of different lengths and diameters or a dynamic mixer with adjustable round number and power. 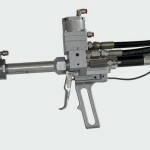 The mixing head is available in the manual model with handle and with fixing support for automatic plants. 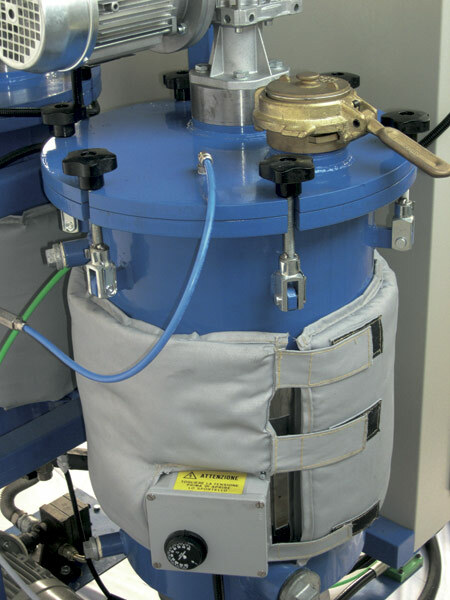 So it is possible to pour and spray the components only by replacing a proper adaptor. 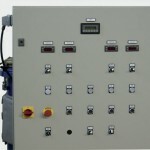 The machine work is controlled by a PLC acting on the rounds of the pumps according to the fixed values. 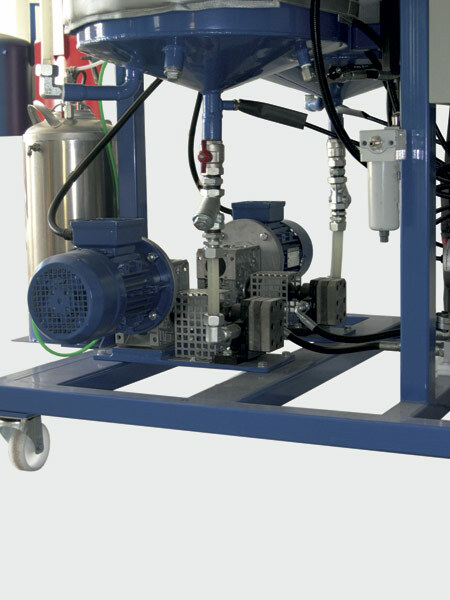 The ME mounts rotary volumetric gear pumps at high efficiency , allowing a precise dosing of the materials with the required ratio and the possibility to keep it also with medium-high pressures. 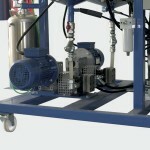 The rotation of the pumps is operated by electric motors controlled by Inverters, it is possible to change the total output and the ratio between the two components. 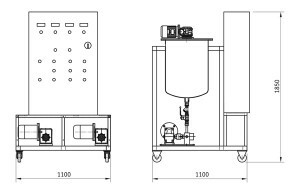 The characteristic of the system is the recycling of the components so to have them ready to be dispensed at the right mixing ratio and temperature, avoiding pre-flow and non-mixed material. 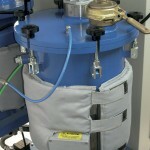 The machine mounts two heated tanks with low stirrer . 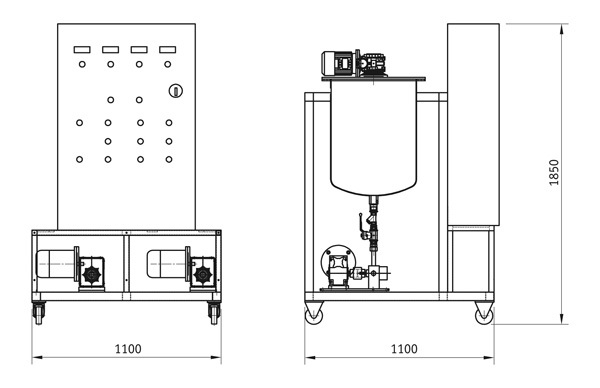 Moreover the tanks can be built for vacuum where an advanced degassing is necessary. 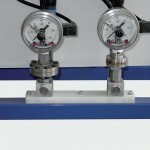 The connection hoses are of high pressure type, heated and insulated to keep a constant temperature and viscosity of the products.The temperature is independently controlled for polyol and isocyanate by special digital thermoregulators. 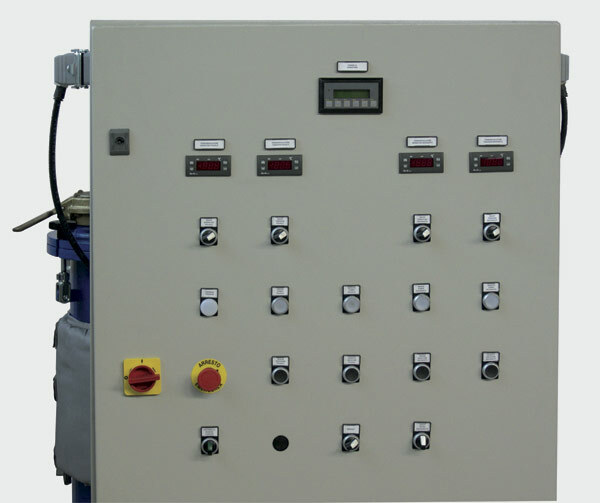 The ME has inside the control panel  all the devices for electric protection and safety and mounts for each line a sensor to verify the pressure during the work , which operates in case of anomalies during the dispensing and the recycling.